After the landing on Gallipoli, Australian newspapers reported daily on the sacrifice and achievements of the 1st AIF at Anzac. A storm of patriotism had developed in Australia to extent that men were enlisting for overseas service in extraordinary numbers. Gallipoli was evacuated in December 1915 and these experienced battle hardened troops returned to Egypt. Reinforcements from Australia had already swelled the Australian lines in Egypt. It was decided that there were ample available troops to expand the overall size of the AIF. The four battalions (13th, 14th, 15th and 16th) of the 4th Brigade were to be split to form the new 12th Brigade. The 48th Battalion was raised from the 16th Battalion which consisted of men mainly from Western Australia and South Australia. On 2 March 1916 the Officer commanding the 16th Battalion, Lieutenant Colonel H Pope paraded 354 men and informed them that they were now the nucleus of the 48th Battalion. The men were then marched to separate tent lines. The Commander of the newly formed 48th Battalion was Raymond Leane who was from Prospect in South Australia. In August 1914 he enlisted in the 11th Battalion as a Captain and Company Commander. He served with the 11th Battalion during the landing at Gallipoli and on 4 May 1915 he led a raid on Turkish outpost at Gaba Tepe. For his gallantry during the raid he was awarded the Military Cross medal. During an assault on Pine Ridge in late June he was wounded but remained at Gallipoli. He again led an assault on the same trench in July which was successful. The captured Turkish trench then became known as Leane's Trench. He gained promotion and commanded the 11th Battalion from early September and was promoted temporary Lieutenant Colonel on October 8, 1915. He was appointed Lieutenant Colonel on March 12 and led the 48th Battalion to France in June 1916. Several of Raymond Leane's relatives, including his brother, Benjamin and three of his nephews also served in the 48th. As a result, the Battalion became known as the "Joan of Arc Battalion". This being a play of words on the Joan of Arc town of Orleans. The 48th Battalion fought its first major battle at Pozieres and suffered near 600 casualties. The following year 1917, the Battalion once again went into an offensive attack at Bullecourt and once again suffered horrific casualties. In late 1917, the Battalion advanced during the Battle of Passchendaele. The 48th Battalion fought a successful defensive role during the German spring offensive at Dernancourt. The Battalion then joined in the victory battles of 1918 where upon at Saint Quentin its member Private James Woods was awarded the Victoria Cross. 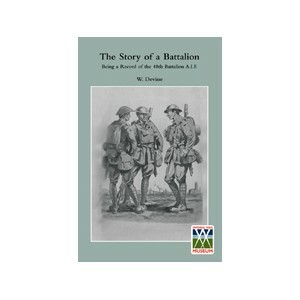 The first book to be written about the 48th Battalion was 'The Story of A Battalion Being A Record Of The 48th Battalion ' By W. Devine. Devine was the Padre of the 48th Battalion during World War I. This book was compiled in France in early 1919 - before the men returned to Australia. Includes a Roll of Honour and Honours and Awards List. Currently the only edition in print and available (as a new book) is the one shown above right. They Simply Fade Away – with the 48th in France ' by John Williamson, 1886–1971. The author was a member of the Battalion being taken on strength with the 48th in France during 1917. After the war, Williamson wrote small newspaper articles and recollections about his days while a member of the 48th Battalion. He gathered these reminisces into this book, although he could not find a publisher. In 1939, he received acclaim when it was serialised in the Western Mail newspaper under the same title in the column 'Diggers Diary'. In the advertising for the serial, the newspaper stated, "John Williamson was a front line soldier, he fought with the 48th Battalion, knew the men, experienced the battles. His story will stir many memories grown dim with the years, moreover the author's skillful description of the places and events both in and out of the line makes his story intensely interesting and entertaining for everyone." 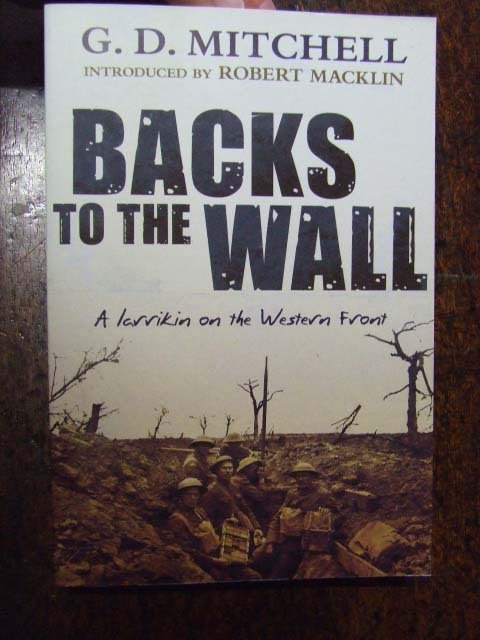 During 2009, the Australian military author, Neville Browning published a greatly expanded history of the Australian 48th Battalion AIF 1916 to 1919. The book is suitably titled, " Leane's Battalion 48th Battalion AIF". It is by far the largest and most comprehensive history ever written about the 48th Battalion during World War I. This history includes Nominal Rolls, Honor Roll, Award and Citations, Nominal Indexed, and a list of the Battalion's men who became POWs and their fate. This history book features 285 photographs (the majority of them coming from private sources and never before published) - Neville Browning visited an extraordinary amount of families to find new and highly interesting stories about this famous Battalion. In addition to the above history books. There is an excellent digger experiences book written by George Mitchell. Mitchell was a highly decorated member of the 48th Battalion. He was awarded the DCM in the field for conspicuous gallantry at the first Battle of Bullecourt. Mitchell showed extraordinary courage while fighting with the 48th Battalion. On the 28 March 1918 Mitchell and his platoon were trying to stop a German advance at Dernancourt. It was here that he was awarded the Military Cross - he noticed Germans making a breakthrough on his right, he immediately ran towards the Germans waving his pistol and demanding their surrender. Surprisingly, the one man attack successfully captured 30 Germans. He survived the war and later published this book about his time with the 48th on the Western Front and the 10th on Gallipoli. It has recently been reprinted as the paperback as seen in the photo to the right. After the Great War, he lived in several Australian states become involved with the RSL and enlisted for service in World War II. He at first commanded an independent guerrilla force in northern Australia known as the 3rd Kimberley Guerrilla Force (his time there has been well documented in a large book titled 'Fighting The Kimberley'). But then transferred to the 2nd AIF for overseas service and was once again a front line commander. After Gallipoli he made his 2nd amphibious landing during a war at Dove Bay Wewak New Guinea. For family history researchers these digger diary storybooks of men in the same Battalion of family relations are highly interesting. One can visualise what your forebear would have been going through by reading of this man's experiences.